Outer Reef Pontoon departing daily from Fitzroy Island to beautiful Moore Reef. 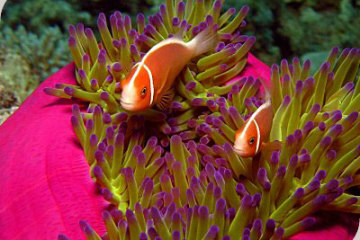 Designed for all ages and abilities to experience the magnificence of the reef in comfort. 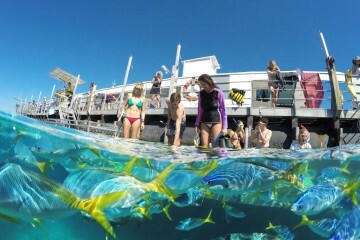 4 Night Reef & Island Fun A magical tropical Island experience combined with Sunlover Return Ferry transfers and a Sunlover Outer Barrier Reef daytrip on a day of your choosing. FITZROY ISLAND FASTCAT The journey is a relaxing 45 minute ride in the 190 seat air-conditioned catamaran. 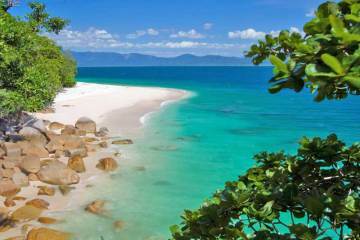 Fitzroy Island has coral gardens within the sheltered waters of Welcome Bay. 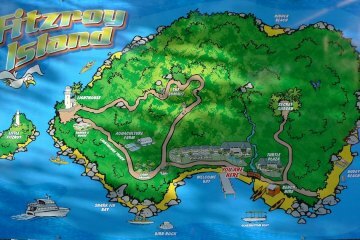 The island also has a walking track to a light house and a Turtle rehabilitation centre. - Tickets must be pre-booked. Fitzroy Island Ferry Raging Thunder runs the Beach Hire Hut on the beach at Fitzroy Island. 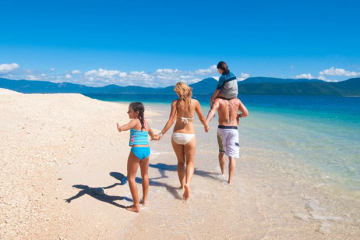 Special rates include lunch, Beach Hire and activities as well as standard return ferry transfers. All ferries take about 45 minutes for the transfer from Cairns to Fitzroy Island. 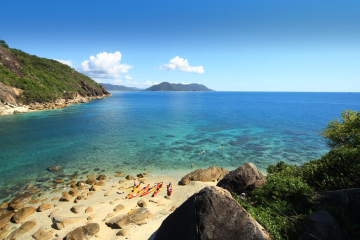 Fitzroy Island Sea Kayaking This fully guided tour offers a tranquil way to see the beauty of the Great Barrier Reef and Fitzroy Island.Cruise to Fitzroy Island by fast catamaran, then explore this remote island's hidden delights and private beaches. You then have the afternoon to explore Fitzroy Islands beaches, fringing coral reefs and walking tracks with full use of the snorkelling gear. Fitzroy Island Resort Immerse yourself in Nature's beauty....This offer is available in Resort Rooms and One Bedroom Suites year round excluding Christmas and Easter holiday times. Book early due to limited availability.